The VASSAL Engine is a game engine for building and playing online adaptations of board games, tabletop games and card games. It allows users to play in real time over a live Internet connection, and also by email (PbeM). It runs on all platforms, and is free, open-source software. For example, there is a Star Wars Miniatures module, where players can play with up to three others in a digital replica of the table-top game. It is written in Java and is available from SourceForge under the LGPL open source license. VASSAL began as VASL (Virtual Advanced Squad Leader), an application for playing Advanced Squad Leader. VASSAL modules exist for over 1000 games, some of which are listed here. A more comprehensive, but not exhaustive, list of modules exists on the VASSAL module site list. Star Wars: X-Wing Miniatures Game Presently the most commonly played VASSAL module, with over 30% of total traffic. V40k, a Warhammer 40,000 module. 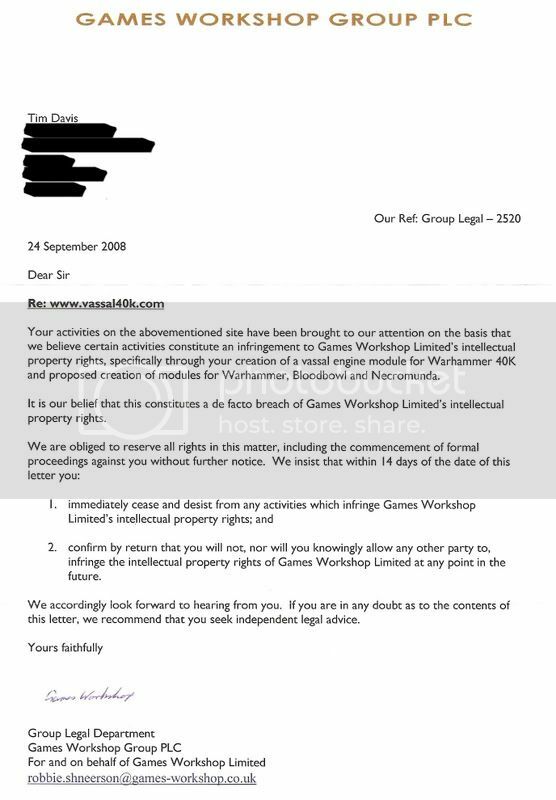 In September 2008, Games Workshop issued a cease-and-desist order regarding V40k to Tim Davis, the team leader at that time. The module is still played. Games Workshop has also issued a cease-and-desist order regarding Space Hulk. ZunTzu is a similar engine for playing boardgames. ^ R.Flaibani. "The Master and His Vassal". Retrieved 20 April 2015. This page was last edited on 17 January 2019, at 18:59 (UTC).